Biker is a theme not just for bikers, biker is cusmomizable theme: it has custom colors for link, headings, menus, widgets and sidebars, custom header, 2 custom backgrounds, 3 nav menus, slider and other options. Biker looks unusual due to transparency of elements, transparency can be changed too. This is a responsive theme, it uses Jolene as the parent theme. Translation ready and has Russian translation. 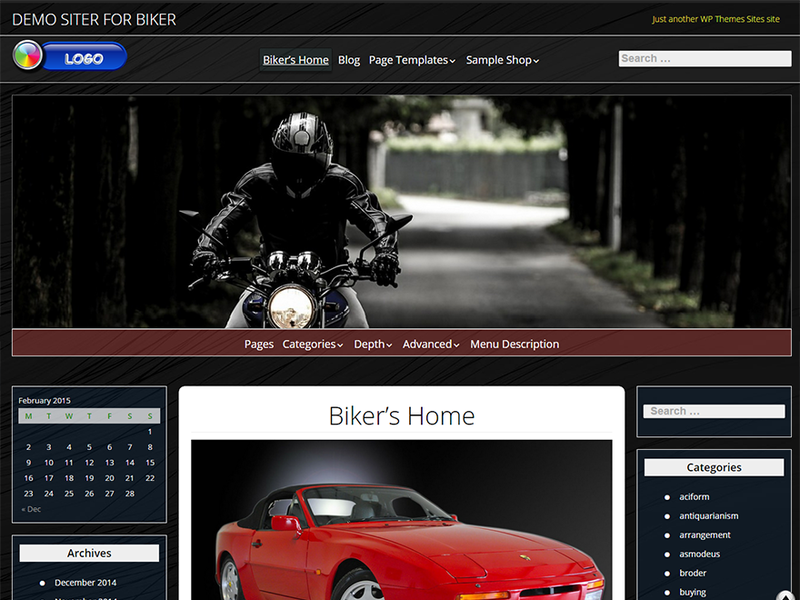 You can find more info and 5 demo websites at http://wpblogs.ru/themes/blog/theme/biker/.